Get Your ESA Letter Today ! As pet owners, we all share a special and deep love for our furry friends. Our animals are more than just “pets” to us, but a means of comfort and support throughout our lives. 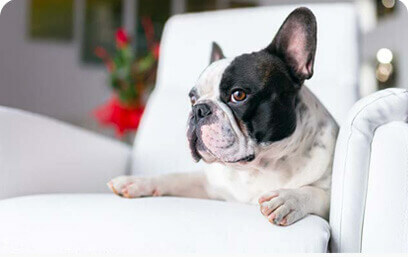 In certain situations, it’s necessary for us to keep our canine companions near us at all times – including while flying on commercial airlines or in “no pet” rental housing. Unfortunately, there are often rules that separate or prevent us being by our dog or pet’s side during the times we need them the most. By obtaining an emotional support animal letter, you have the legal right in the United States to keep your support dog (or other animal) with you in the two instances described below. Laws relating to therapy animals can be a bit tricky to navigate. We like to keep things simple – the only two laws that you’ll need to be aware of are the Air Carrier Access Act (ACAA) & the Fair Housing Act (FHA). These are the two laws that allow emotional support animals on commercial airlines flights (for no extra fees) as well as allow emotional support dogs in “no pet” housing such as apartments or rental homes. The first therapy animal law we will discuss is the Air Carrier Access Act (ACAA), which was passed in 1986. This law allows ESAs to fly in the cabin of commercial airplanes. This is great for support pet owners as their dogs and other pets can now sit with them rather than below the plane in the luggage compartment. It’s important to keep in mind that each airline has their own rules and standards regarding emotional support dogs and animals. Before traveling with your ESA dog, we always recommend calling the airline in advance to let me know. Check with the airline before you buy your ticket and find out what you need to do and how you need to approach the issue on the day of your flight. Some airlines might be more flexible than others, however; they all airlines have the same general guidelines when it comes to ESAs. Making this law even more beneficial for emotional therapy dog owners, anti-discrimination laws outlined by the ACAA mean that airlines can’t charge a fee for support animals to travel in the cabin of an airplane. You heard that correctly – if you have an emotional support dog not only can they fly in the main cabin with you, but you don’t have to pay an extra free for them either! That said, your dog’s (or pet’s) behavior matters, as does yours. Interfering with a flight crew is not allowed and can even be against the law. Barking, growling, chewing, and other disruptive behavior will not be tolerated and it a sure fire way of getting you (and your pet) kicked off the flight. It’s important to keep in mind that this interference doesn’t have to be intentional. Emotional support animal status gets you through the door without discrimination or unfair fees, but it doesn’t protect you from the standards and rules that apply to any passenger. Make sure you dog, cat, or other pet is on their best behavior! This is another circumstance in which it really pays to consider the breed you’re choosing to task with the responsibility of serving as your emotional support dog. Dogs who howl with fear and lash out with fear aggression whenever they’re in the car should not ride on airplanes. Be fair to your pet and think about their comfort just like you would think about yours. 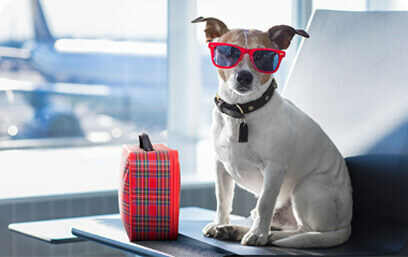 Work with your dog prior to your plane trip to find out what soothing distractions work for him or her. Go to the airport ahead of time to do some training and get familiar with the noises and smells in that space. If you have a dog – trust us, they are going to want to sniff around! Please keep in mind that the issue of poorly trained and managed emotional support animals on commercial flights has become a somewhat controversial topic in the new lately. This may mean that some airline employees or passengers are skeptical of the idea of support dogs. Your letter does grant you certain rights, but it’s important to act in accordance to accepted standards of behavior even with the protection the ACAA grants you. The second law to be aware of is called the Fair Housing Act (FHA), which is part of the Civil Rights Act of 1968, though disability-related provisions were added in 1988. The new provisions that were added to the Act in 1988 specially prevent landlords from discriminating against prospective renters based on their disability status. 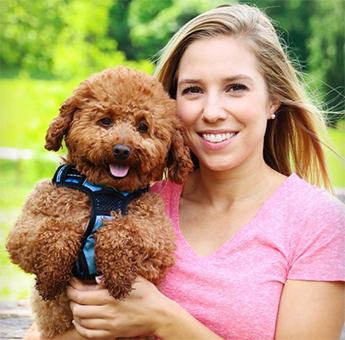 Because having this type of pet is often part of a therapy plan to mitigate or reduce symptoms of mental illness, the FHA covers (and protects) the rights of emotional support animals as well. If you qualify and receive an ESA letter you are now allowed to live with your emotional support animal in “no pet” housing and should not face discrimination based on size and breed restrictions. Landlords also can’t charge you a pet deposit for your ESA either. We make the process of getting your legitimate ESA letter quickly. Best of all – it can all be done online and over the phone. If you qualify, you can receive your letter in as little as 24 hours time. To find out if you qualify, take this short prescreening questionnaire by clicking here. This makes it a lot easier to find affordable housing in a safe and convenient location if you live with an ESA. However, whenever possible, you may want to find a sympathetic and understanding landlord. Though legally required to let you live in their buildings, resentful landlords who really don’t want animals on their properties may look for any other reason to harass or evict you. Because ESAs are supposed to be well behaved, renters should be careful to make sure their certified support dog follows the rules your landlord sets, and you should also be careful to be courteous and take responsibility for your animal. If you don’t pick up after your pet during bathroom breaks on communal property, for example, you could be in violation of a local law or community rule that exposes you to the risk of eviction. The FHA does not provide unconditional protection. It simply protects disabled people from discrimination based on their disability alone. The ACAA and FHA laws are a blessing to many pet owners who rely on emotional support from their animals. One of the most important things you can do to ensure that emotional support animal laws stay in effect is to never, ever abuse the system. For better or for worse, federal laws can change, and if people abuse the ESA rights granted by laws such as the FHA and ACAA, it will cause those who really do need their animals to suffer in the long run. As with all rights, the right to keep an ESA dog comes with certain responsibilities. Make sure to take responsibility for your animal’s behavior and understand that you are being granted a special right based on your condition, a right that is a privilege not every pet or dog owner has. Beyond that, there are some extra steps you may want to consider in order to be a good steward and representative of this program. Again, you should consider whether your dog or other animal is up to the task of serving as your ESA in a public setting. If you have a dog or cat who is very fearful of strangers and tends to bite or scratch when approached by someone it doesn’t know, this animal is likely not a good candidate to be an support pet. You may be able to obtain certification, but doing so may be unfair to your ESA dog. Please remember, having an emotional support animal letter does not protect you from any liability with respect to personal or property damage. It’s important that you really think carefully about whether your animal will be safe and happy in public settings. If your dog currently isn’t a good candidate, it doesn’t mean that it never will be. Good behavioral training (especially with dogs) can make a world of difference in how your ESA behaves. Proper socialization, a good routine, and a solid relationship that allows you to understand your pet’s behavior is a great foundation to build upon. Your emotional support animal should also be properly potty trained in public. If your ESA is posing a health hazard with its behavior, including having accidents in a public place, the rights and protections you enjoy may be void. Landlords don’t necessarily have to put up with tenants who let their emotional support dogs defecate and urinate all over the carpet, for example. Legal concerns aside, the potty-training issue is a major factor in the public opinion about this program. If people see an ESA dog who is friendly, calm, well trained, and clean, they are much more likely to be supportive of the continuing protection provided by the FHA and ACAA. Strong positive public opinion may even lead to the expansion and protection of emotional support dog laws. Do You Qualify For A Therapy Dog? We Make Humans & Their Support Dogs Smile. Other emotional support animal letter services like to trick you into paying for “registration into a government database” that doesn’t exist or use fake reviews to convince you to purchase from them. At Therapy Pet, we keep things simple and legal. If you qualify, we set you up with a licensed mental health professional who practices within your state. Instead of going into their office, you speak to them directly over the phone. If you qualify, you then receive your 100% legal ESA letter within as little as 48 hours. The ESA letter you receive will list the license number of the therapist who you spoke to over the phone. If anyone should call your letter into question at any point in time, it can be easily legitimized by verifying the therapist who wrote it. Simple. Legitimate. Legal. It’s why our customers love us. Ready To Get Your ESA Letter? 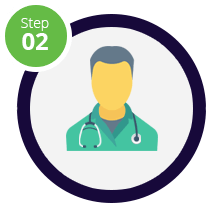 In order to start the process, you will first need to complete a free online qualification screening. It’s just a few multiple choice questions to assess whether or not you would be a good fit for having a emotional support animal. The screeninging is a necessary step, and only takes a few minutes. Best of all, you can get started right now by clicking the red button below. All domestic animals qualify to become ESA animals! While dogs and cats are the most common, there are no restrictions on the type of animal. However, your emotional support animal does need to be well behaved in public in order to qualify as a ESA. They are not the same!.. and it’s very important that you know the difference. Service animals are specially trained to perform certain tasks in order to assist one individual. ESA animals do not need training and can provide comfort to many individuals. Simply put, a service animal (usually a dog) performs a specific task (or tasks) for an individual with disabilities. It’s most common to see them helping individual who struggle with their eyesight or walking. Service animals are not meant for companionship and cannot really be viewed as pets since their purpose serves a greater need for the person. The person helped must have a life-limiting disability. The dog must be trained to recognize and respond to the handler’s disability by doing either work or tasks. Third, the dog must not cause public disturbances. What Is An Support Dog? An emotional support animal is a pet that provides companionship and comfort to individuals who suffer from wide range of mental health issues. While all pet owners enjoy the companionship and comfort their animals give them, emotional support animals have an extra special purpose for their owners. Without even knowing it, ESAs help make a world of difference to those dealing with life-limiting disabilities, post-traumatic stress disorders, or other mental illnesses. The definition of a “life-limiting disability” with respect to an emotional support dog or pet allows people with a variety of different limitations to benefit from the legal protection of the Air Carrier Access Act & Fair Housing Act. Whether you know it or not, your pet may already be assisting you as an emotional support animal without any formal designation. If you feel social anxiety in regular social situations but are calmed by the presence of your dog, for example, that pet is already serving in an ESA capacity for you. People suffering from chronic depression who rely on their dogs to help them get out of bed and regulate their schedules are also benefiting from the scientifically-proven support an animal can provide. Obtaining an ESA letter is simply a legal recognition that your support dog does more than simply amuse or keep you company, it helps to alleviate the everyday stresses of life. It’s a way of allowing people with emotional and psychiatric difficulties to move more freely in the world without debilitating discomfort or maladaptive reactions to everyday situations. When you qualify for an ESA letter, your relationship with this animal is more formalized from a legal perspective. Keep in mind that emotional support animals are everyday pets, and they don’t need any formal training. This makes it easy for those who qualify to get a emotional support dog letter rather quickly for the animal they already own. Who Qualifies For An ESA Dog or Animal? This privilege is reserved for people who suffer from symptoms of psychological, emotional, or mental disorders. These people must first be evaluated by a licensed medical professional or therapist – and that can easily be done online after taking a free qualification screening. In fact, the whole process can take as little as 24 hours. Even phobias that are very specific and limited but keep you from experiencing a necessary part of life can count, including a fear of flying. If you feel perfectly safe and calm in every other situation but can honestly say that you experience anxiety or panic attacks while traveling on an airplane, you may qualify for ESA certification. Phobias that don’t really impact your everyday life usually don’t qualify. The health issue in question has to present a limitation to your ability to live a normal life. A fear of clowns isn’t likely to count, for example, unless you can make a reasonable argument that your quality of life is being substantially and directly impacted by this phobia and that the presence of an animal could allow you to overcome it. If, however, a clown college takes up residence across the street from your house that could potentially well justify the presence of an ESA in your home. In this case, it makes sense that you’d need your emotional support dogs calming presence to help you walk out your door regardless of the physical manifestation of your fears across the street. The certified letter is to represent that your support animal is not just for fun, but rather a treatment for the emotional or psychological disorder that you have been diagnosed with. 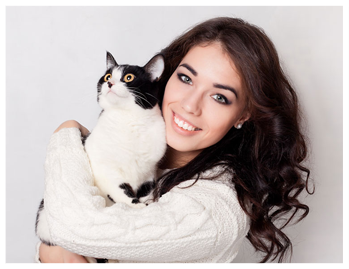 The final verdict on whether you qualify for an emotional support animal letter is in the hands of the licenses therapist we put you in touch with. They have the education, experience, and legal authority to work with you on an individual, case by case, basis. Do I Need To Register My Support Pet? No – there is no such thing as “registration” or a “database”. These are not legally required by law. If you come across any company asking you to “register” – run away. The only thing you need to do is to obtain an letter for a licensed mental health professional. That will allow you to fly with your ESA for free and live in “no pet” housing without having to pay a pet deposit. Does My Dog Qualify As An Emotional Support Animal? Legally, there are no restrictions on the type of animals can be classified as ESAs. You can have an emotional support cat, an emotional support dog, an emotional support turtle, bird, snake, tarantula, ferret, chicken, pig, donkey, or squirrel. Even fish count as emotional support animals, though traveling around with your pet goldfish might not be such a great idea. The point is, though, that there isn’t a lot of specific legal definition relating to emotional support animals. That’s both a good and a bad thing. Part of the good is that even unusual animals can count as ESAs, though taking a penguin or kangaroo with you in public places may attract unwanted attention. That’s something to think about if you don’t already have an support animal and are planning to get one. If you have social anxiety or other social phobias and limitations, bringing an attention-getting animal into a public space might not actually help to soothe your discomfort. Don’t forget to consider your pet’s comfort and safety as well! Part of the reason why an emotional support fish might not be a great idea is that transporting a tank can be quite difficult, and fish often experience health issues as a result of stress. A pet who is uncomfortable in public areas is likely not the best option to help you cope with your anxiety. Likewise, if you feel stress when your pet acts up or if you feel unable to control or train your dog, that is something that also will not help you feel better. The goal is to provide greater comfort and freedom for you, not to add another element of worry into your life. As we mentioned before, emotional support animals must be well behaved. If you have a puppy that is currently going through a rebellious phase, you might want to wait until after it has grown out of that phase before taking it on a commercial airline flight. Emotional support dogs don’t necessarily need to have the stoic, zen-like focus of a service dog, but they should behave in a professional manner. The most common pets that are first considered to be support animals are those that are part of the family already. Emotional support dogs are the #1 example. Dogs and cats have the benefit of being domesticated already and therefore make them easier for a person to have around. Both cats and dogs often have strong bonds with their owners which translates into being great support animals. Birds are great pets for many reasons. For starters, they are extremely smart creatures with some even having the ability to speak and repeat words in our spoken language. They also require very little room and grooming, so caring for one does not take very much work. Lastly, they have long lifespans so they will remain part of your life for many years. 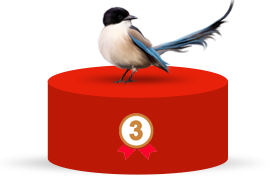 And just like cats and dogs, there are many species of the avian species to choose from. Having other animals is not unheard of, but it is important to keep the well-being of the animal in mind. If you live in a more rural area with acres to roam, a horse may be suitable to work as your therapy animal. If you have an ample backyard with a ton of grass area, a pig may suit your needs. If you live in a small apartment, maybe a snake or hamster works best for you. Does My ESA Dog Need A Vest? Many people wonder whether they need some sort of outward display that indicates their dogs is an emotional support animal. You’re not legally required to put a vest or badge on your emotional support animal. 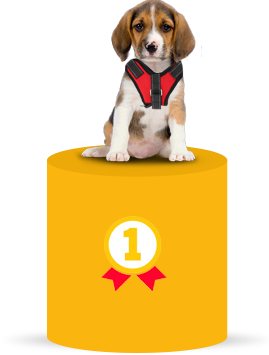 HOWEVER – airlines are now strongly recommending you do have a vest on your pet that will help identify them as an ESA. It can make the process of checking in your emotional support animal for flights less of a hassle and reduce the amount of uncomfortable questions from airline employees. If you do want to purchase a vest we recommend this one on Amazon because it’s relatively inexpensive and clearly identifies the your animal as a ESA. Can I Have More Than One Support Pet? Of course! But it’s ultimately up to the discretion of the therapist we put you in contact with. There would need to be a legitimate reason why two animals would be necessary. The best way to find out it to take our free qualification screening. Can I Have My Emotional Support Pet In My Dorm Room? It depends. Many educational institutions allow ESAs on campus and within housing establishments. It’s best to contact your College or University directly before the school year begins. How Long Will My ESA Dog Letter Last? All ESA letters are valid for one calendar year from the date of issue. Don’t worry, we make it super easy to renew each year for a heavily discounted rate. Do you need to renew your letter now? No problem – begin by taking our qualification screening. What Information Is Listed On The Letter? Medical privacy laws do apply when thinking about how to get an emotional support dog certification. In most cases, you are not legally required to divulge the underlying condition that justifies your certification to your landlord or airline employees, and you also do not need to fully explain your relationship with the medical professional who issued the certificate. Your ESA letter, therefore, does not have to provide exhaustive detail about why you obtained the certification. All the letter needs to say in order to be effective is that a licensed medical professional has evaluated you and determined that you meet the disability requirements that justify the prescription of an emotional support animal. Most organizations want to see that the letter is written on official letterhead, shows a clear date on which the letter is written, and displays the license number of the therapist that issued it. The letter does not and, in fact, should not state what your specific condition is and the person who asks to see your letter, even in an official capacity, does not have the legal right to know this information. Some airlines and other organizations might want to know that you do legitimately suffer from a recognized disability, but they don’t need to know which specific one. Your medical history is between you and your doctor or therapist, not a random airport employee or prospective landlord. Keeping this information to yourself can help lessen anxiety and reduce the chances of discrimination, so don’t feel uncomfortable about refusing to share this information. It is your right to keep your healthcare concerns private. What Should I Do With The Letter After I Receive It? Once you get your signed emotional support animal letter, keep a hard copy on hand in an easily accessible file. You may also want to keep an electronic copy on your phone as an email attachment or in a photo as backup proof in case you’re questioned while you’re out and about. You can laminate your letter if you wish, but this isn’t necessary. There is no formal registry for emotional support animals, so you need to take responsibility for keeping track of your letter as proof of your certification status. A traditional ESA Letter is valid for one year. You must renew your certification in order to stay current. If your landlord or employer keeps a copy of your letter on file, you should be proactive and provide a new one before it expires so you can stay current. We make renewal easy, so this should be a simple requirement to stay on top of. What Are The Emotional Support Dog Requirements? Emotional support dogs are required to a have dumentiation from a legally licensed and actively practicing mental health professional. That includes therapist, psychologist, psychiatrist or medical physicians. This document is often referred to as a “letter”, and needs to have your mental health professions (MHP) license number clearned presented. Does My ESA Dog Need Certification or A Certificate? 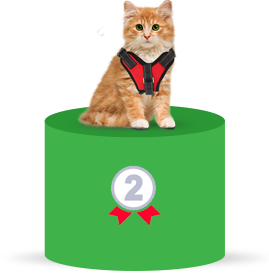 Contrary to popular belief, your support companion does not need to be “certified” or carry a “certificate”. The only requirements is that you are prescribed an ESA “letter” from your mental health practitioner stating your support pet provides you necessary companionship during times of need. Can Landlords Charge A Fee For Emotional Support Pets? No – landlords and property managers are not legally allowed to require a pet deposit or charge a fee for emotional support animals. Can I Take My Emotional Support Dog Anywhere? Because you’re ESA animal is not specifically trained to perform certain tasks, they may not be allowed to accompany you everywhere you go. For instance, some restaurants, stores, or hotels may allow service animals, but not companion dogs. Can I Get A Companion Dog For Anxiety? Yes – you can certainly get an ESA dog for anxiety if a licensed mental health professional feels a companion animal would be helpful. Can I Get A Companion Dog For Depression? Yes – depression is a well documented mental illness. 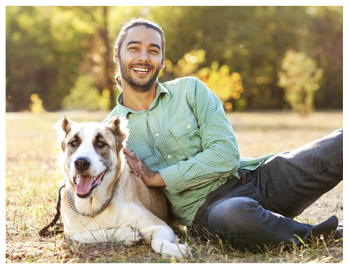 If a licensed mental health professional evaluates your condition and feels companionship from an animal would help alleviate your symptoms, you would certainly quality for a companion animal. Who Can Prescribe An Emotional Support Pet? Legally licensed mental health professionals are the only people legally allowed to prescribe an emotional support dog letter. The evaluation and meeting with the professional can happen over the phone or in person at the profesional office location. Do Emotional Support Dogs Needs Training? ESA Dogs do not need any specific training. They provide therapeutic benefits to their owners through companionship.